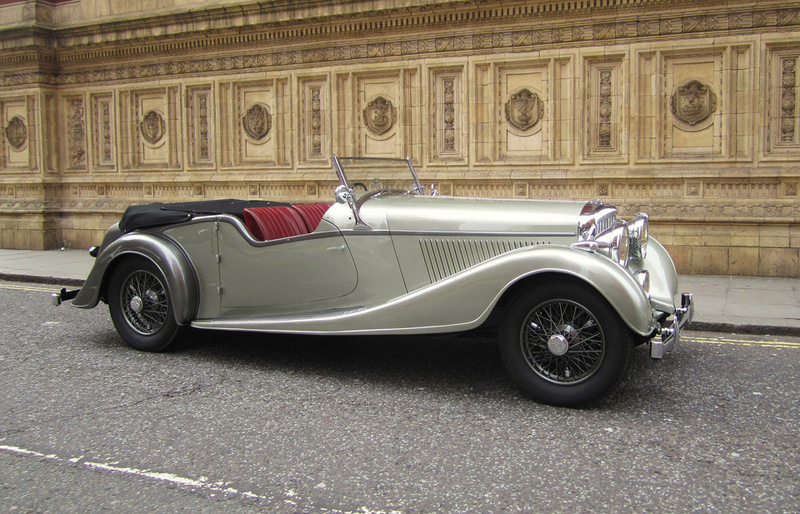 The ‘Derby Bentley’ is widely regarded as the most sophisticated car that money could buy in the 1930’s. The chassis was remarkable in that it offered the driver effortless sports car performance in almost absolute silence. This was achieved with a six cylinder engine with a synchromesh four-speed gearbox, with servo assisted braking and with a one shot lubrication system. If this was not enough the car also had the benefit of adjustable rear suspension and a chassis damper that doubled as a front bumper. 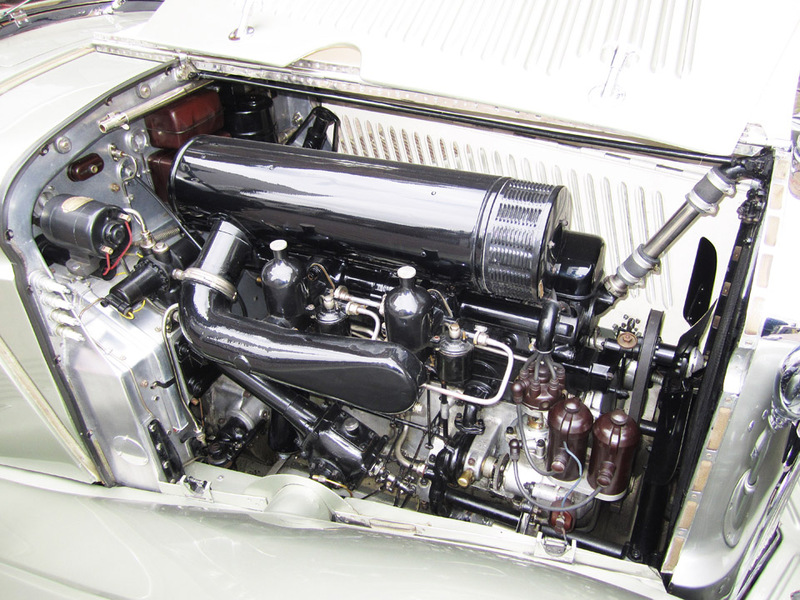 The engine had a cross flow cylinder head with SU carburettors, a crankshaft damper and roller cam followers. 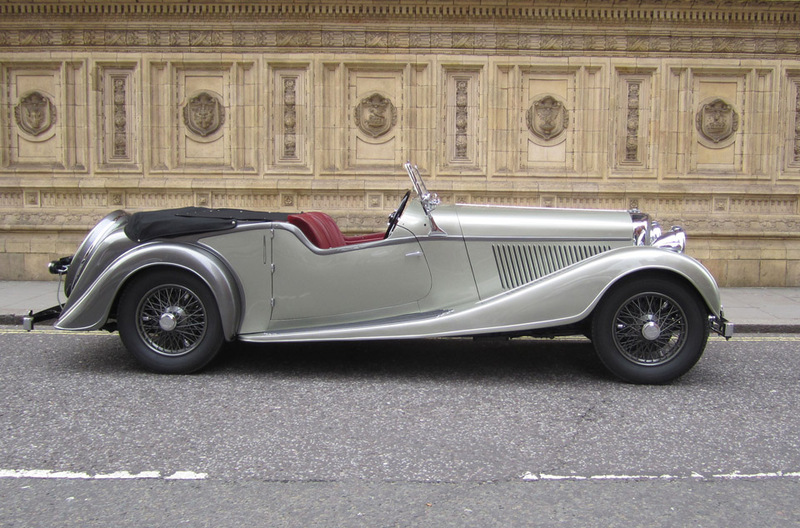 Originally only available with a 3½ Litre engine the more powerful 4¼ Litre option became available in 1936. In their understated way Rolls-Royce had created one of greatest cars of the day, the “Silent Sports Car” and it is not surprising that so many notable figures, celebrities and racing drivers of the day owned them. 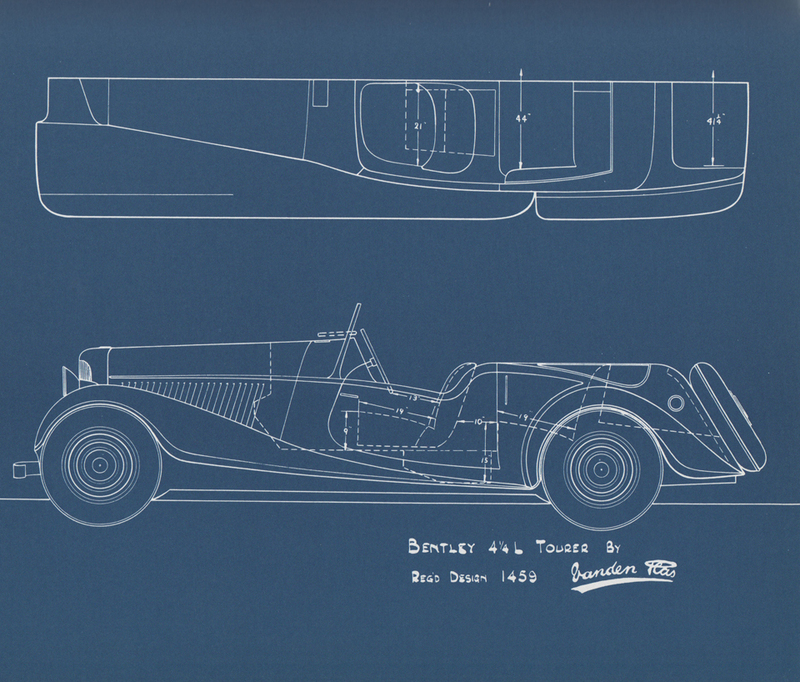 Chassis B 107 KU is an original Vanden Plas Tourer and was the first Bentley to be fitted with this design coachwork. It is one of only four built and was displayed by Bentley at the 1937 London Motor Show. It sold off the stand to the British Ambassador to Hungary, Sir Alvary Gascoigne who used it on official duties before the War. He kept the car until 1952 when he gave it to his daughter. The car is offered in outstanding condition and retains its original engine all major numbered components. The car is still registered on its original number and is even in its original colour scheme of two tone grey with red leather. 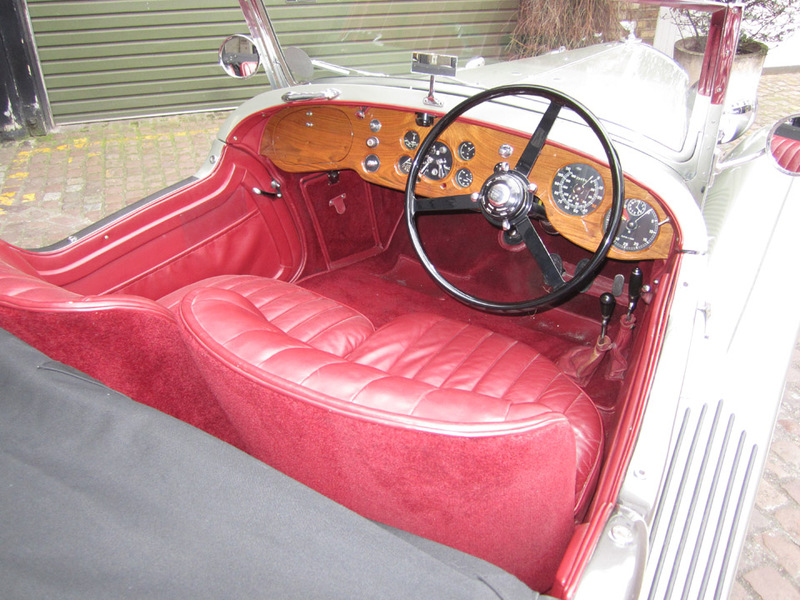 The car has clearly been meticulously restored, fitted with a modern overdrive unit and is complete with a substantial history file and owners handbook. 1st Owner. Sir Alvary Gascoigne, who in 1937 was H.M. Ambassador to Hungary. He used the car in Europe on official duties before the War and kept the car for 15 years until he gave it to his daughter in 1952. He states in letter of Aug ’62 “must have covered at least 50,000 miles in this car, which never let me down”. 2nd Owner. Mrs. Charles Studd. 1952 – 1959 and sold it to Lex Garage of London. She estimates mileage to be 90 – 100,000. 3rd Owner. Michael James, who bought the car from Simmons of Mayfair in April 1961. He sold it, with 19,931 on the odometer, in 1963 to the well known dealer Dan Margulies then of Warwick Avenue, later of Queens Gate Place Mews. 4th Owner. The car then travelled to the USA and was in the hands of BDC Member David Wynne of California from 1963 to 1973. 5th Owner. A Mr. A.V. Mincolla was the owner of the car from 1973 to 1994 during which period the car was restored and saw little use. 6th Owner. Dr Robert Brod of Pennsylvania bought the car in 1994. 7th Owner. In 1999 the car returns to the UK in the care of dealer, Jonathan Procter and is sold to BDC Member Bill Rankin. He restores the car at a cost then of £ 160,000 and keeps it until 2007. 8th Owner. Lord Irvine Laidlaw bought the car in 2007 and it spends time in the UK and Monaco until he sells it in 2012. The car covers approx 730 miles in these five years. 9th Owner. (Current) Mr. Terry Lister bought the car in 2012.